So this summer I guess I decided to take a bit of a break from blogging, huh? Last post was may 31….wow. In that time I didn’t get much knitting done, but with summer winding down I am back in full force. 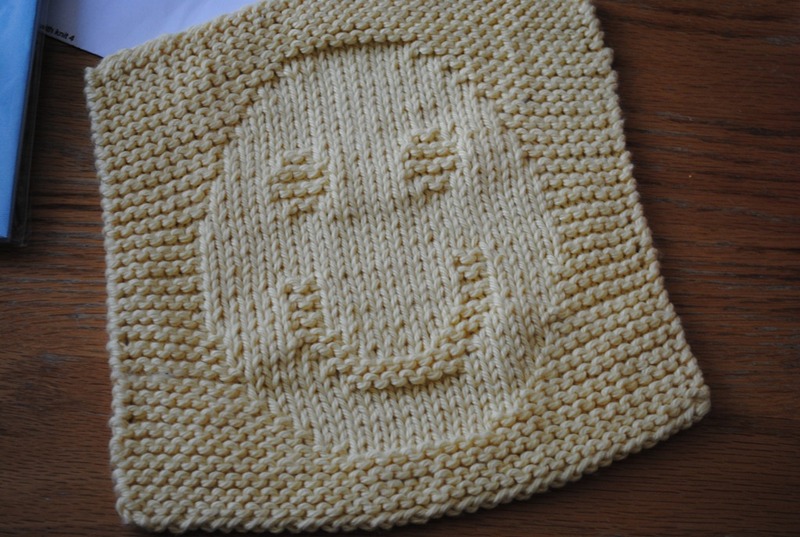 I have missed reading the blogs of all of the lovely knitters out there and am glad to be back. To those of you who reached out to me, thank you! Can’t wait to get back into the swing of things. I actually even have an FO to post for you guys sometime soon! Just wanted to quickly write something to get myself back in that headspace. pay it forward, gifts received! Today, walking to the post office, I TOTALLY thought I knew what I was picking up. It was blue yarn for my next pullover project. But when I saw the size of the package the mail lady pulled out, I knew I had been mistaken. I had to know right away so i opened it up in the parking lot! At first I was REALLY confused. She also sent me this with the pattern too. I had my eye on this pattern!! 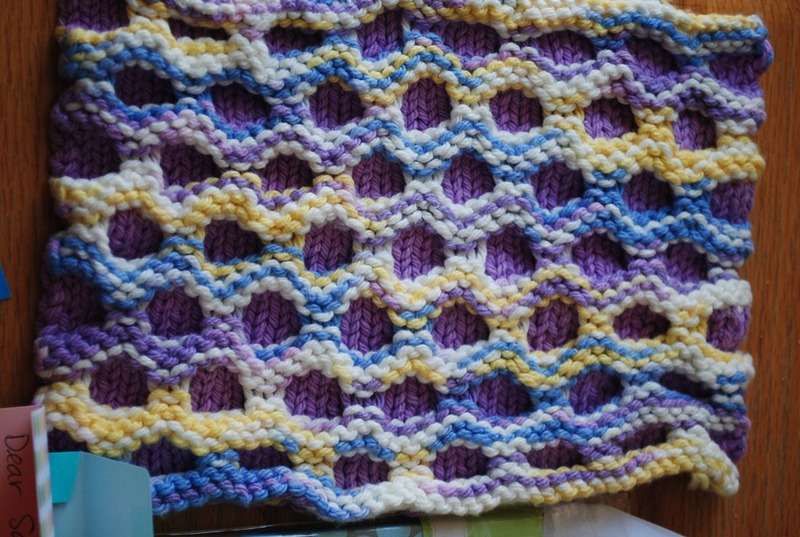 I haven’t been posting but I’ve been on a total dishcloth kick lately. 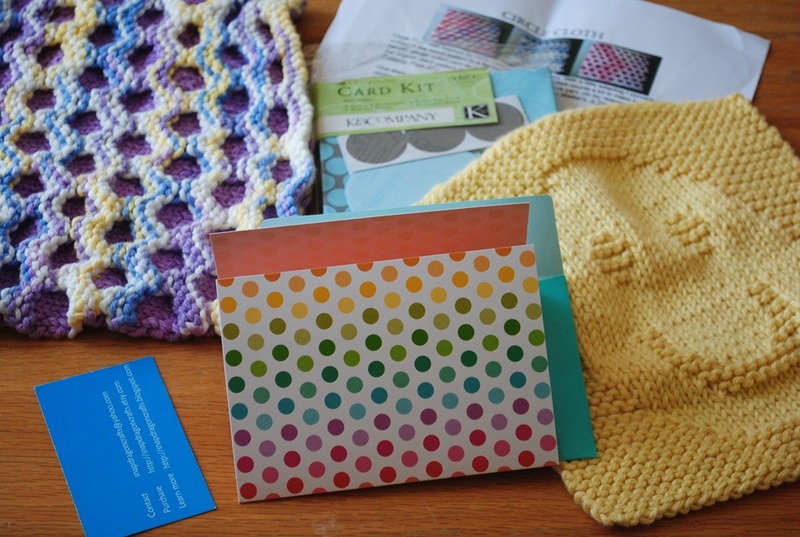 she also included a kit for making homemade cards…which will be perfect for me! Do you want a handmade gift, from moi? I saw this meme on Emily’s (snapdragoncrafts) blogand was super excited. This is going to be really fun! I will send a surprise gift to the first three commenters on this post. The gift will be handmade by me. It will be sent sometime in the next 365 days. It will be a surprise. We all love getting surprises in the mail, right? 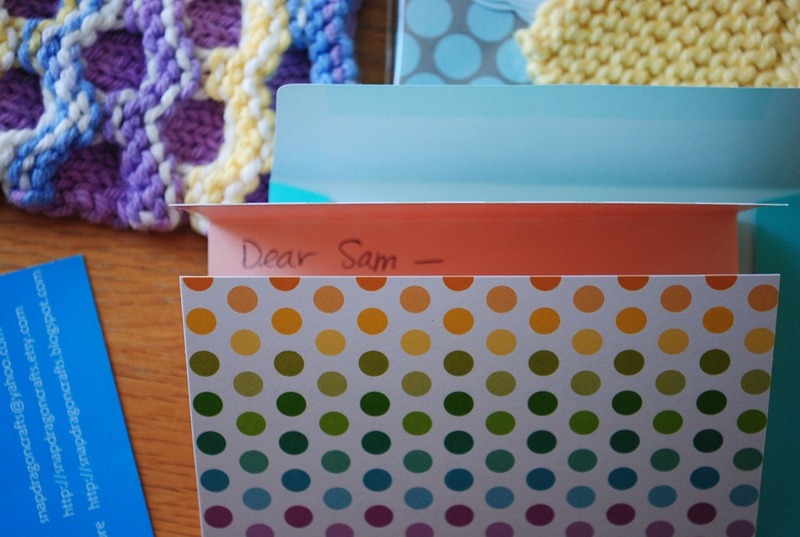 In your comment, tell me your two favorite colors (that will help me make an appropriate gift). To sign up and receive a gift, you must play along, too. Pay it Forward on your blog, by promising to make a surprise for the first three people who comment on the post. 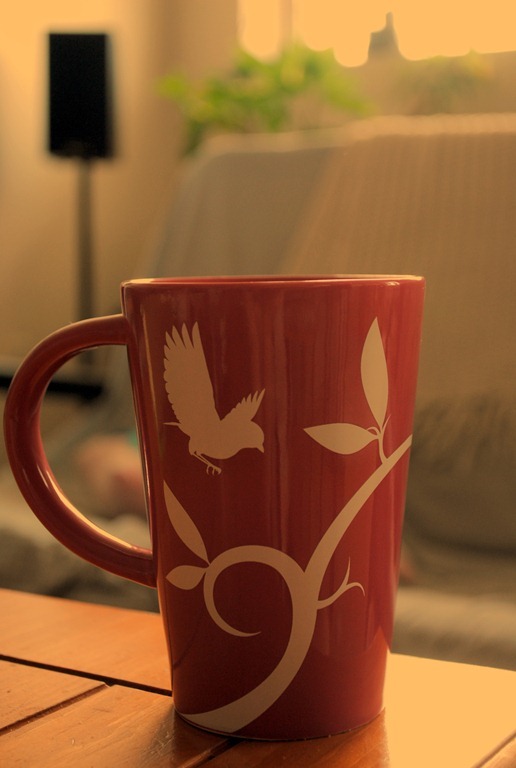 You must have a blog (that is updated, as I will blog stalk you to find the right gift for you). please participate! I want to make you gifties 🙂 DON’T BE SHY!!! What a good morning. Pajamas. Socks. Knitting. Reading. So I have this habit of trying to find fun knitting blogs with nice photography to read all the time. Lately I have found many gems, and one of those is Through The Loops. It just so happens that Kirtsen is also throwing a mystery sock knit a long starting January first! I read that and I was sold. I don’t know why but that just screamed FUN! FUN! FUN! to me. So I went and bought the pattern asap. And then there was the choosing of the yarn. Eesh. She recommended to use a solid color so that left me with a whole one option in my stash. 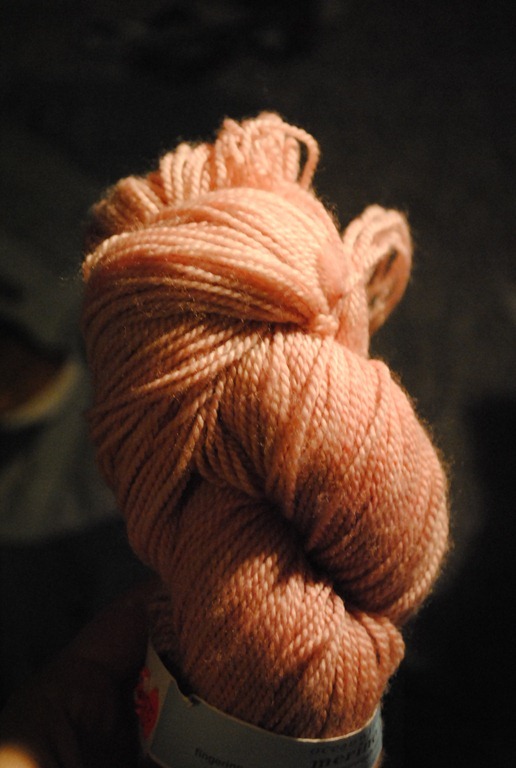 A skein of orange misti alpaca. Reading through the thread on rav though I saw that the designer had done hers in a nice light color, she said similar to a light blue color. That made ME want a nice light color too. Off I went, equipped with some christmas cash to the yarn store today. Yarns Etc is essentially on my way home from work so that’s where I went. 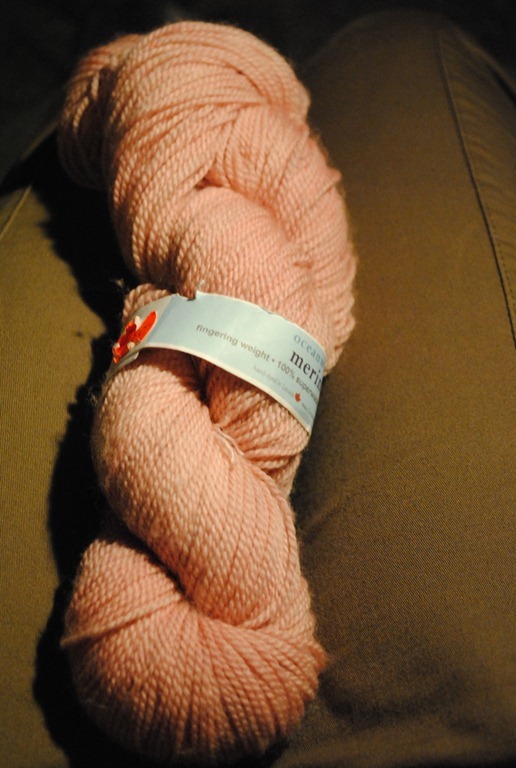 I was hoping to get some dream in color smooshy but they only had classy (worsted weight i believe). I also spotted some spud and chloe that I liked but I was unsure about the yardage, it’s only 65g per hank. Can you make a pair of socks out of that? I didn’t have enough money to buy two so I didn’t risk it. In the end I chose Oceanwind Knits 100% merino superwash sock yarn. 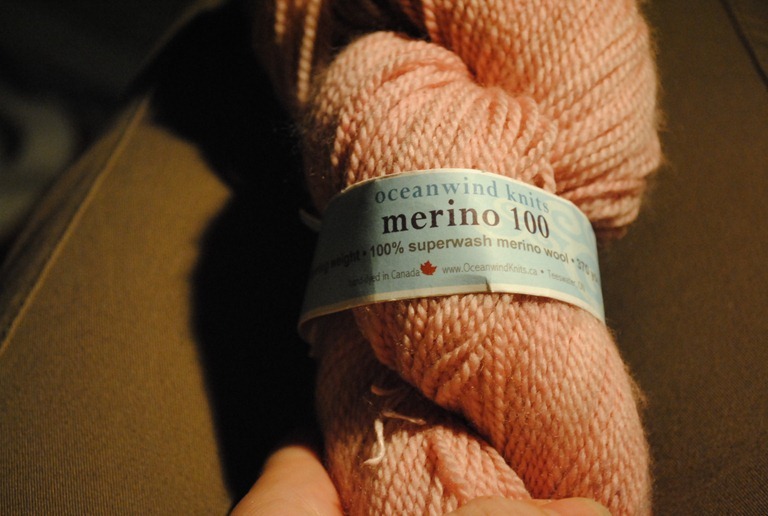 This is a yarn made in Ontario so that’s a bonus. It is also just squishy and wonderful so that made it a good choice too. The color is called tickled which I just love. tickled pink. Get it? 😛 Oh, of course you do! I’m going to roll this up into a ball and do a swatch STAT!!! I’ll be sure to take daylight photos sometime when I get the chance, but it won’t be for a few days. Between work and Christmas #2, there is just no time. I just wanted to share this! I’m excited. I’m also planning on posting the TTL spoiler image above at the beginning of every post I talk about this in so that I don’t ruin the surprise for anyone else knitting along. If you are doing it let me know!!! The more the merrier of couuuurse.